Home / $MXN / $USD / Great Graphic / Great Graphic: Is it Time to Buy the Mexican Peso? Great Graphic: Is it Time to Buy the Mexican Peso? It is looking increasingly like the US Presidential election is over but the crying, and most likely the fence between the US and Mexico will not become a wall. The third and final debate was last night and it does not seem to have stopped the hemorrhaging of Trump's support. The peso had sold off through most of September as the polls drew close. Is it a buy now? No, it is not. First, it is important to recognize that there are other drivers for the second most actively traded emerging market currency (second to the Chinese yuan) besides US politics. Macroeconomic factors, domestic political forces, oil prices, and the general risk appetite have all be part of the peso story. Second, it needs to be appreciated that the odds of a Trump victory has steadily fallen since the first debate and before the tapes, which have been in the public space, drew attention. The market's powerful anticipatory or discounting mechanism needs to be respected. 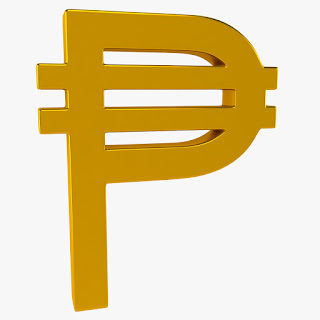 Since September 26, the peso has been the strongest currency in the world. It has risen 7% against the dollar. The next best has been the Brazilian real, which appreciated less than half of what the peso gained. Third, from a technical perspective, the dollar has approached a key trendline drawn off the April lows. This is shown in this Great Graphic from Bloomberg. It is found near MXN18.40 today and the low has been near MXN18.4560. Technical indicators warn that if the dollar's low is not yet in place, it has been approached. Corrective retracements of the dollar's drop since September 26, suggests potential toward MXN19.05, and then possibly back into the MXN19.20-MXN19.40 area. Fourth, the fundamentals are of questionable support for the peso. Increasingly the investors have come around to the view that the Fed will indeed hike rates in December. Mexico has raised rates to defend the currency and head off the potential inflationary impact from the depreciation, but such action is aggravating the economic slowdown. Fiscal policy has also tighten and is projected to tighten further next year. The draft budget anticipates a fiscal drag of around 1.2% of GDP. Nearly half comes from the Pemex capital budget, which bodes ill for new investment. At the same time, the current account is deteriorating, and public and private debt ratios are increasing.